I am a huge fan of the cashless payments solution, there’s no secret here. Today I would like to list 7 of the most important benefits of using one for your events. As the cash habit fades away, customers tend to increase their spending limit. Reports show that attendees tend to spend up to 30% more at events where a cashless payment system is in place. They love to buy, but they just don’t like the long queues that make them lose all the fun. Which takes us to reason #2. The tap and pay system is, by far, the fastest way to process transactions. According to American Express, cashless payments are 63% faster than cash transactions and 53% faster than classic debit/credit card transactions. Each transaction can be processed in under 5 seconds, a mid-sized cashless payment set-up allowing you to process over 20 transactions/second. The cashless payment system gives you live access to real-time data. It’s 100% transparent, allowing you and your partners to see live how much money attendees are spending (and how). It also allows you to create “cohort reports” and segment your attendees based on their spending habits (and combine those reports to any demographic data you have collected). With a cashless payment system in place, fraud becomes almost impossible. Not handling cash or tokens will make it impossible for someone to steal the vendor’s income or the attendees’ money. Human errors may still appear, but with an easy to use cashless payment system, they are highly unlikely and easy to correct. Using smart NFC tags for payments allows you to also use them for attendee engagement and experiential marketing. The event ticket is paired to the tag (that can be stored into the event wristband, card, or badge) and allows attendees to interact by a simple tap of the hand. It can also be used for smart screens and gamification, converting your event into one fun ecosystem. And sponsors are always attracted to new ideas for attendee engagement. The event wristband can also store your attendees’ access credentials. Permissions can be checked by a simple tap to an NFC receiver, allowing you to delegate your team members to more important tasks. It’s also faster than traditional scanning, allowing attendees to move to different sections of your festival without having to wait in endless queues. I have saved it for last but in my opinion, this is the most important benefit of using a cashless payment system. The speed and safety that it adds to your event will make the whole experience unforgettable. Not having to carry your wallet, being able to purchase a beer without having to wait for ages, allowing you to use your wristband to claim perks, those are all benefits that we all crave for. Why use our cashless payments solution? What differentiates us? With Oveit you can set up a cashless payment solution without the need for expensive hardware. We have developed a mobile app that transforms your mobile phone into a powerful and easy to use POS. No need for special scanners or NFC devices; add credit and record purchases using just day to day mobile phones. Another reason why you should definitely use or solution is that it works both online and offline. And because it does not require a special set-up it can be used in any location you wish. Like a remote island or the top of a mountain. From day one we wanted to develop Oveit into more than just a ticketing app, to develop it into a complete event management software. We always knew that technology can help you offer unforgettable experiences to your guests. Time passed, we developed new features, and clients started using our software for complex situations. Today I will tell you how our partners use Oveit’s features in ways that may surprise you. Maybe you are looking for an event management software that you can use in an “unconventional” way (yes, we now that you are looking for more than a ticketing software), so go ahead and find some inspiration below. I am found of all creative ideas, but I will start with the idea one of our partners had not too long ago. They were using Oveit to sell tickets for a high-school musical show. Also wanted to give parents a way to support their children by allowing them to buy some “shout outs” in the event programme. They had a dedicated email address for parents to contact them but found it difficult to offer a straightforward payment solution. It was also pretty difficult to make sure that all the shout outs are collected in one place and none is lost “on the way” (things can be difficult when you are part of a small team). He had the ingenious idea to use Oveit for it; created a new event that allowed parents to instantly register the message by using our registration forms. Set up a limited number of tickets (each ticket was a shout out) and money went straight into their account through our direct payment feature. After the registration period was over they simply downloaded the list and printed the shout-outs in the Event Programme. An easy way to solve a complicated situation. Loyalty is something each brand looks for from its customers. Loyal customers are hard to find, so when you do let them know that they are truly appreciated. One of our partners (a Sports Organization) uses our NFC technology for both payments and access control at the VIP lounge. They wanted to do more for the fans that rarely miss from a home game, so they have created a special rewarding program. Depending on the number of consecutive games the fans attend they receive a gift from the organizer. Because the fans use their cards to pay or access designated areas our partner can easily keep track of those that qualify for the loyalty program. Loyalty programs are very appreciated by customers and 76% consider that personalized offers based on their purchase history are crucial. Our NFC capabilities can be used to engage attendees within your events. We developed it thinking it would be a great way for attendees and sponsors/exhibitors to connect. However, I know someone that took this feature one step further. Visiting a museum is always fun, but it’s much funnier when art talks to you. 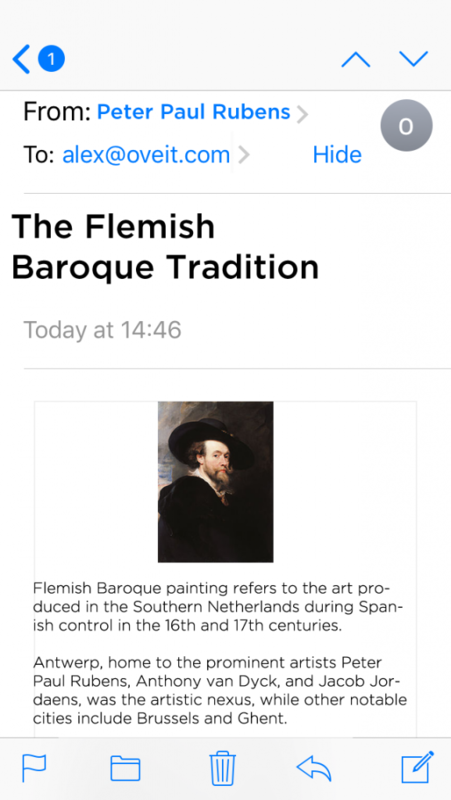 Yes, our NFC features are used in museums, and visitors can find more about a particular piece, an artist or an art movement. Online searching for information is very common among museum-goers. Art that follows up is not something that you see on a daily basis and it’s a great way to create a buzz while helping visitors find more about what they love. Discount coupons are a great way to attract new business. According to a study conducted by Firstdata, 11% of coupons are used by new users, meaning they are a great way for new customers to test your products or services. A quality interaction will convince them to become regular users, and adding gift coupons can increase your client base. To estimate what this could mean take a look at how small improvements can increase your business. Oveit can be used to create gift coupons that will be sent directly to the beneficiary through a 100% personalized coupon while all the financial data goes to the person that places the order. Our main focus is on cashless payments, there’s no secret here. We are happy to see that more and more event planners use our software for this feature, increasing their revenue. Our “light” setup was adopted not only by event planners but also by an elementary school that was delighted that can use it in its cafeteria. Parents credit the pupils’ accounts (they use colorful NFC wristbands that scholars love to wear) and using our software they are sure that the kids use the lunch money…for lunch. The same system is used by a large corporation as a way to partially support lunch for its employees. Each month the company adds an amount to each employee account as they use their personalized NFC cards to pay at the cafeteria. If they run out of credit employees can add extra credit. We are happy to see that more and more employers opt to use our cashless payments solution in order to create a closed-loop ecosystem to manage lunch benefits. -guests that stay at this resort have access to a nearby Contemporary Art Museum and in order to see if they really visit it the entry is added as a “perk” and checked in individually (using the same “room key” which, of course, it’s an NFC card). Our NFC capabilities were not once used for implementing treasure hunt games, but a particular occasion stuck to my mind. One of our partners used Oveit for a company retreat and the NFC wristbands to capture data on what activities its employees prefer. For the treasure hunt game, they used our software to create checkpoints and check if each team has covered the whole track. 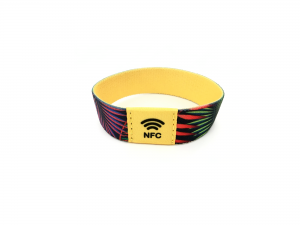 Each time a team reached a milestone the team leader tapped the wristband to the NFC device. Our event management software sent an email containing clues on how to reach the next checkpoint and also marked that they have covered that point of the track. Easy implementation for maximum fun. Hope this article helped you discover new techniques to satisfy your customers. If you have a question for which you haven’t got an answer please let us know. We can’t promise Oveit will be the perfect solution for you but we promise we will look into it.